Mobile and tablet devices are critical platforms for communicating social good messages with young children and their parents. But in this decidedly new frontier, what are the rules? The youngest generation is a captive audience on mobile, but requires a unique approach. In this panel, industry experts will tackle the do’s and don’ts of children’s mobile gaming, provide best practices for playing and co-playing with parents, discuss mobile-specific legal considerations and ethical implications. 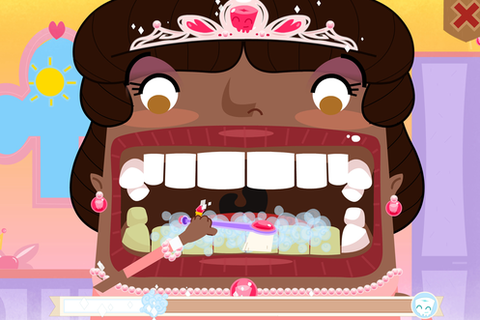 Panelists will also share examples of children’s apps designed for learning and behavior change, including the Ad Council's newest app, Toothsavers (www.2min2x.org/toothsavers). Prior to founding PlayScience, she was the Chief Strategy Officer for Smarty Pants, a research and consulting firm focused on kids, teens, and families. Alison was also previously Senior Research Director of Digital Research and Brand & Consumer Insights for the Nickelodeon/MTV Networks Kids & Family Group, where she led Nick’s efforts to understand the digital lives of consumers, conducting research on a variety of platforms: online, console and handheld gaming, interactive television, and mobile among them. She also served as the research and strategic insights mastermind behind the 18 websites and the Virtual World and Game Studios under the Nickelodeon umbrella, managing brands from Addicting Games to Nick to Neopets to Shockwave. Before joining Nickelodeon, she was an assistant professor of communication at Indiana University. Alison has published and presented extensively, including two edited books –The Children's Television Community and Television and the American Family. Anastasia serves as Vice President of the Advertising Council’s Digital group where she manages the team in charge of digital and social strategy for all Ad Council campaigns as well as AdCouncil.org. Prior to joining the Ad Council, she lead the product development and marketing for the Inspire USA Foundation’s primary service, ReachOut.com, a digital space for teens struggling with depression or other mental health issues. She has worked in media for the past 15+ years and helped launch youth oriented web and television properties for brands like Oxygen, AOL and Current TV before founding the influential youth marketing site Ypulse.com. Anastasia was one of the first graduates of the Medill School of Journalism's new media program at Northwestern University, where she earned an MSJ in 1999. Her first book about teens and technology called Totally Wired: What Teens & Tweens Are Really Doing Online was published by St. Martin's Press. She lives in the Greater New York City area with her husband and daughter. Judith Beauregard has an enviable 20-year track record of developing digital media, games, websites and mobile applications for kids. She has collaborated with many world-class junior brands such as PBS Kids, Sesame Street, NickJr, The Jim Henson Company and KidsCBC. As a founder of the interactive studio Toboggan, she brings infectious enthusiasm for youth product to all her collaborations with producers and broadcasters. Previously Judith was a digital media producer at Tribal Nova and at ODD1, where she led award-winning Web projects for kids and preschoolers. She also worked for NDi Media and PTM Kids in the development of interactive youth products related to renowned Canadian and European television series. Judith is inspired by the intersection of fun and learning. She earned a Bachelor of Communications from Concordia University and a Certificate in Project Management from McGill University. Judith also teaches interactive financing and project management at l’INIS (National Institute of Sound & Image). Scott Traylor is the Chief KID, CEO, and founder of 360KID, a kid-focused content and technology company dedicated to creating a love for learning through products that educate as well as entertain. 360KID provides turnkey development services to the education, broadcast, and toy industries. Scott started his business over 19 years ago. His company has emerged as a recognized leader in the development of fun and engaging learning products. His clients include Crayola, Disney, Pokemon, Girl Scouts, Sesame Workshop, LeapFrog, Discovery Channel, Hasbro, Highlights for Children, Nickelodeon, and many others. 360KID is a multi-award winning and three-time Emmy nominated company. Scott is also a teacher, a life-long learner, a parent, an artist, and a kid at heart. Scott has degrees in Graphic Design, Industrial Design, and Photography from Rochester Institute of Technology.